What's the smartest cookie? An academia nut! 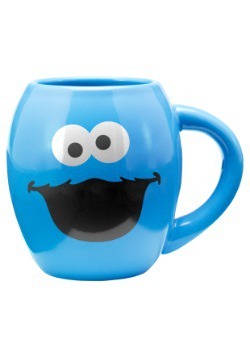 If your little one is into Sesame Street they are probably a pretty smart cookie. Within minutes of hearing the word of the day, is your child using it in a full sentence? Don't worry if they're using it wrong! It's pretty amusing when a kid thinks the world bonified means turned into a skeleton. It makes for interesting Halloween conversations. 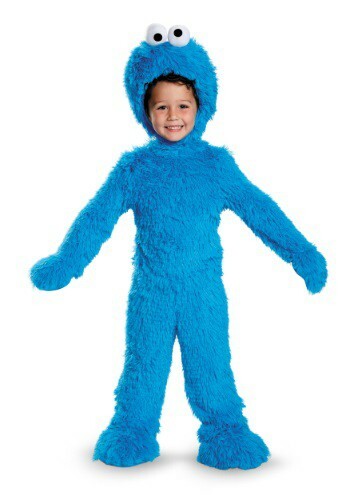 People are pretty worried about Cookie Monster's health because he eats so many cookies. Here's the thing, why aren't they more worried about the hubcaps and telephones he eats. That can't be good for his monster insides! Plus, what happened to the person on the other end of the line? Were they left hanging on the line, listening to this blue monster's crazy digestive system? 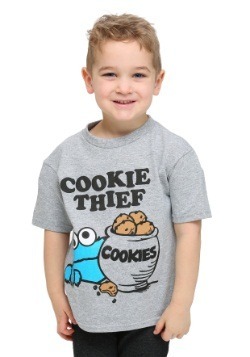 Don't get us wrong, it's alarming to watch him down a couple dozen chocolate chip cookies but we're wondering if that's simply because we feel put off that we don't have any cookies! 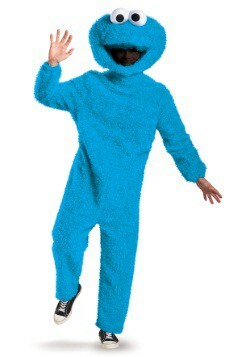 Well, there's no better time to dress up as Cookie Monster than a holiday meant to celebrate sugar and treats, Halloween! They will have a great time copying this monster's goofy voice and backward grammar. They are sure to get into the act when they're posing with that plate of pumpkin cookies! 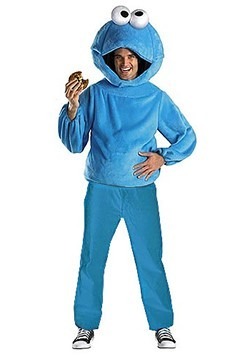 It's easy to suit up in the hooded jumpsuit with googly eyes. Polish it off with furry mittens and boot covers and they'll be ready to roll. Just remember to put limits on the act, no eating telephones!